I am always leaving and moving onward to the next adventure. I never know what that adventure is until moments before it happens. I am quick on my toes, having the ability to pack and rearrange my schedule in moments! Every new town I step into I explore ways to immerse myself and my kids into the community to make the transition seem less trivial. We have a goal in sight, it is just that the end is still inches outside of our embrace. I enjoy traveling and relish in the new cultures I find in each land I check in at. A lot of people do not realize that America is immersed with different cultures, traditions and ways. They don’t observe that all four corners of this homeland are unique and unrecognizable to each other. It makes sense. Scientists, geologists and knowledge thirst individuals are always making images of land masses and overlapping them onto each other to compare size. We can see how Russia is giant and could consume many nations with its dimensions. Or how Alaska when placed on top of America consumes half of the territory. You have european countries smashed into an area that could fill Alaska and in this European Alaska numerous languages are spoken, religions practiced, holidays celebrated and different great men acknowledged – all are happening within hours from each other. So is it really so hard to believe that the North West is so different than the North East? If that doesn’t convince you then at least recognize that the North and South fought for different ideals in the Civil War and animosity from those battles are still apparent today. Living under one name, America, is like saying that you live on Earth, full of different people and ideals smashed into one world. Despite the differences I have found the treasure hidden in each state that I have lived in. Sometimes you must dig a little deeper than what you believe to be humanly possible, but it is worth it to make the best out of your experience. I live in one of these dig deeper states now. When you say the name New Mexico it sounds fun and delightful! You even get the option of two different colored license plates when you register your car! 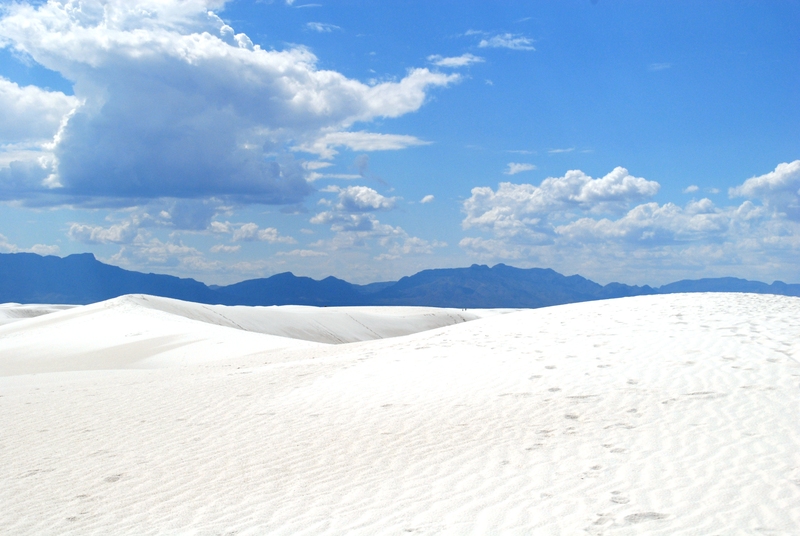 They have a couple breathtaking natural landmarks such as White Sands and Carlsbad Caverns, a not surprisingly large alien culture in Roswell, beer brewed by Monks if you are willing to drive to the border, and they get to be a part of the Four Corners of America. What they don’t tell you is that this is the haven of poor education, a hideout for Mexican drug cartels, and a rising hub for human trafficking. 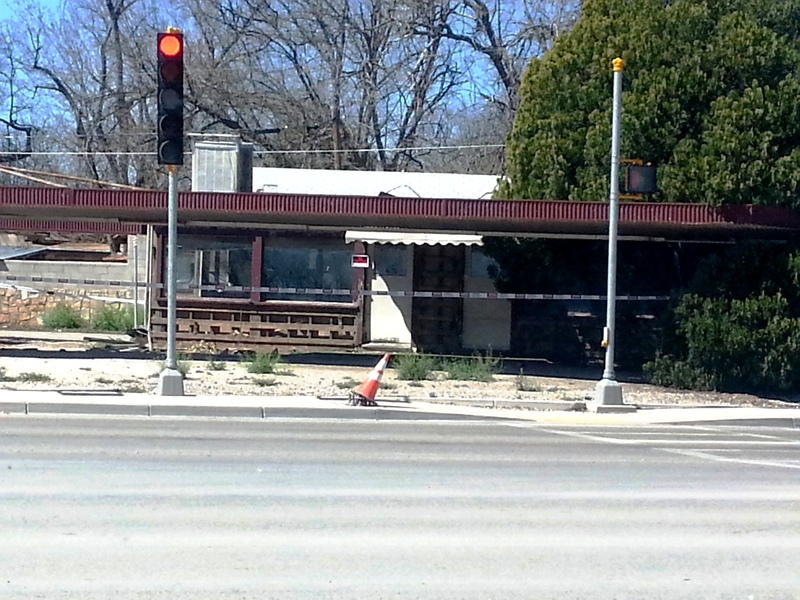 Site of a homeless man murdered over the weekend at a drive-in restaurant. Currently I live in a town where the nearest Target is over an hour away and the closest IMAX theater is about three. I favor the quaint life, but realize that doesn’t automatically mean a safer living environment. Since moving here in August I have had a car broken into, witnessed a woman being mugged, driven by freshly placed crime tape once a week, and heard about drug raids. These are the obvious reasons to complain about a town. What you do not fully recognize is that I live in an Oil Town. Thousands of people have fled to this modest, hard working town for oil jobs that offer large salaries and require little to no education. When the oil drilling gets halted these young, uneducated kids with little sense of what to do with money turn to drugs creating drastic rises in crime. This radical change in atmosphere causes the locals to retaliate. The townees have a huge prejudice against people who are not apart of the community and are here only to get a quick oily dollar. I try to immerse myself into the community to help keep our family from being lumped in as leeches of this town. I think it helps that we did not relocate to pillage and dry up the land here, but to aid to the community by offering them a new way to receive immediate medical attention by air. I have further integrated myself by sitting on the PTA board for my kids elementary school. Sadly, I never leave a meeting without being furious at what they are willing to accept as a fantastic effort to meet minimum requirements for educating our children. I have also signed the girls up for Girl Scouts attending meetings every Tuesday evening, The locals have seen me at food drives, parades, and community events thanks to our Girl Scout involvement. We even started soccer this spring! We get involved in these different experiences in order to find happiness that is lacking from living in a town that is emotionally, mentally and physically draining. I have had many journeys in the past, but I would like to start you off where I am currently in life. I am going to share the interesting tales that come with raising three kids in a doomed town and how you learn that everyone is a little offbeat, the struggle that comes with the anticipation for the next opportunity to move forward with our lives and environment, and the little battles that may seem ridiculous, crazy and strange to you but consume my free time.